Η Panasonic ανακοίνωσε το νέο μοντέλο βιντεοκάμερας AG-CX350EJ, που είναι διαθέσιμο από τον Φεβρουάριο 2019. 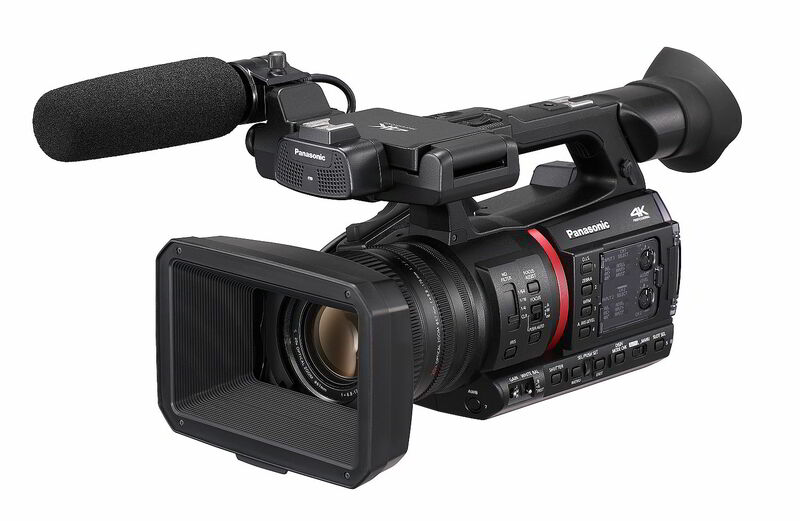 The AG-CX350 camcorder spearheads the series, and is the first camcorder in the industry to provide NDI | HX connectivity. This ensures smooth video transmission and camera control over IP for live events and web distribution, and means the camera can be built in to larger systems working alongside Panasonic PTZ camera systems equipped with NDI|HX and the Panasonic Live Production Center (AV-HLC100). The camera features a wide-angle of 24.5mm, with a high powered optical 20x zoom lens and a new high-definition, high sensitivity 1.0-type 15M MOS sensor to enable 10bit image quality and 4K (UHD) or FHD resolution recording at up to 50/59.94p, on to SDXC card. It also features a HLG gamma mode to support HDR image production. Featuring a high brightness, high definition LCD, the camera provides SDI/HDMI parallel outputs for enhanced operation and usability. Weighing just 1.9kg it has the added benefits of compact size and low power consumption. A new, high-efficiency HEVC codec (LongGOP, 10bit, 4:2:0/MOV) enables smooth playback and editing with a notebook PC or MacBook. In addition, the camera supports a streaming function for Facebook and YouTube live with compatible RTSP and RTMP protocols. The camera will also support the MXF P2 file format MXF futureproofing it for potential broadcasting applications enabling AVC-Intra and AVC-LongG. The AG-CX350 will begin shipping in February 2019.